WPBot is a ChatBot plugin for WordPress that can improve user engagement, provide support, answer questions and help you generate more leads and eMail subscriptions. Users can converse fluidly with the WordPress ChatBot – thanks to its Integration with Google‘s DialogFlow (AI and NLP), Search website, Send eMail or Leave number for call back. Create Custom Intents from DialogFlow – Survey/Poll, appointment, service requests etc. and have answers emailed to you! The Onsite Retargeting helps your Customer Conversion rate optimization by showing special offers and coupons on Exit Intent, time interval or page scroll-down. 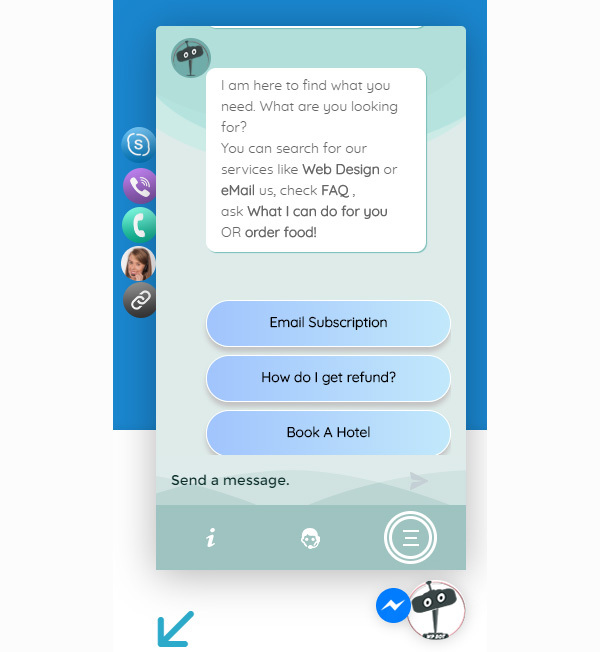 Embed the Bot on any website, schedule the ChatBot online time or integrate with 3rd party Live chat system like tawk.to or FaceBook messenger with icons! What is WPBot Chat Bot? 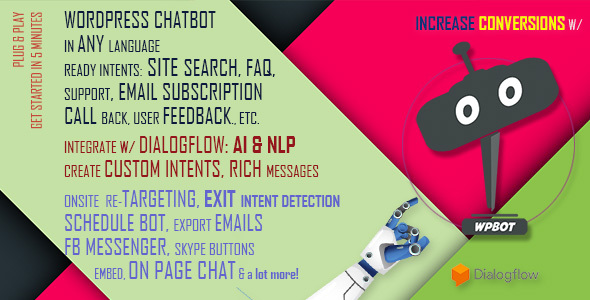 WPBot is the next Generation ChatBot Plugin for WordPress with some very useful, ready to use tools. Conversational user experience is the future of technology. Enter WPBot – a new way of user interaction that allows your WordPress website to connect with your users on a personal level while creating a more natural interaction that mimics the physical world. 24/7/365 WPBot can provide Intelligent live chat support and interact with your users to provide site search, support, feedback, eMail or callback service. Use the bot notification and the on-site Retargeting feature to get user focus on a product or service that you offer. Increase customer satisfaction, Collect eMail addresses, reduce costs to scale and improve the ability to engage users. A personalized welcome message goes a long way to light up one’s day. WPBot can greet returning users or show your message in the notification area. What is worse than not having a live chat on your website? It is getting a “No one is Available to Chat” message. WPBot is always there to help your site users. Usually, chatbots need extensive training and integration. WPBot is plug n’ play. If your website is in English language – you can simply Install WPBot, set your email and you are ready to go. 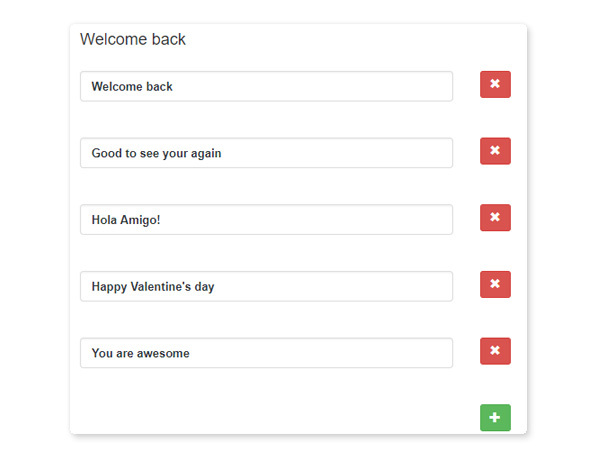 For other languages – you can change all the bot responses from the backend in 15 minutes. Of course, you have the option to take it all the way and really make the ChatBot intelligent with machine learning and AI! WPBot is Intelligent. Integrated with Google’s Natural Language Processing (NLP) and AI through DialogFlow. It is capable of Small Talk, can carry on a conversation flow and fulfill any reasonable request. The feature is optional and initial training data is bundled with the plugin. WPBot Works Based on Two Types of User Intents for Commands. Predefined intents can work without integration to DialogFlow API and AI. These are readily available as soon as you install the plugin and can be turned on or off individually. Predefined Intent examples are Website Search, eMail subscription, Call Me Back, Feedback Collection, Frequently Asked Questions, Support eMail etc. Custom intents give you the option to build a truly human-like, intelligent and comprehensive chatbot. Build any type of Intents and Responses (including rich message responses) directly in DialogFlow and train the bot accordingly. When you create custom intents and responses in DialogFlow, WPBot will display them when user inputs match with your Custom Intents along with the responses you created. You can also build Rich responses by enabling Facebook messenger Response option. In addition, you can also Enable Advanced Chained Question and Answers using follow up Intents, Contexts etc. Entities etc. and then have resulting answers from your users emailed to you. This feature lets you create a series of questions in DialogFlow that will be asked by the bot and based on the user inputs a response will be displayed. WPBot also supports Rich responses using Facebook Messenger integration and Cards. 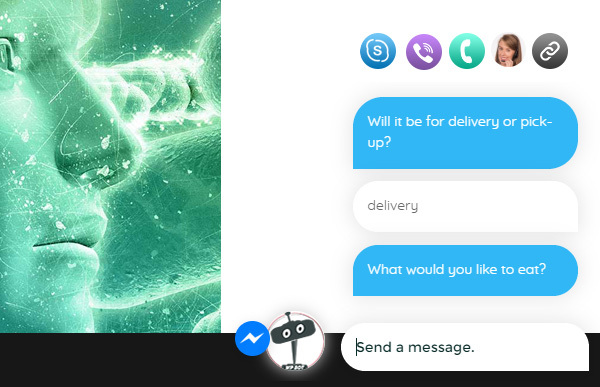 This allows you to display Image, Card, Quick Text Reply or Custom PayLoad inside the ChatBot window. 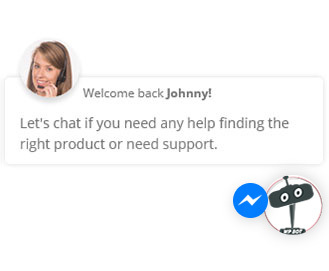 Integrate FaceBook Messenger experience directly into your website. This allows your customers to interact with your business anytime with the same personalized, rich-media experience they get on FaceBook Messenger Live Chat! This feature is completely optional and is not required for normal chatbot activity. 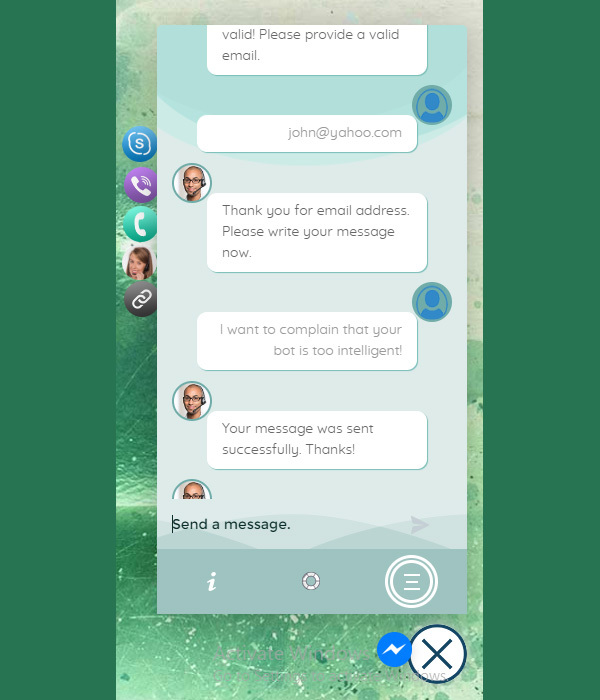 The main purpose of this feature is to provide a Live chat channel for support in addition to the chatbot. Use onsite retargeting to redirect visitors towards the desired conversion goal or landing page. You can direct abandoning visitors to some of your most popular content or hot-selling product to keep them on your site and improve your quality score. All of these will translate into a much higher rate of customer conversions by reducing the potentials for bounce backs. Want to offer your site users with options to reach out to you for live support? WPBot can lightly integrate with Facebook messenger and almost any other 3rd party Live Chat systems that provide a unique chat page URL like Tawk.to. Load WPBot on any page itself with shortcode. With this feature, you can create a single landing page for shoppers to add your products to cart and check out! You can also Enable quick icons for Skype, WhatsApp, Viber, Any Web Link & Phone Call with the chat window. If you provide support through any of those channels then this is a great way to serve your customers. 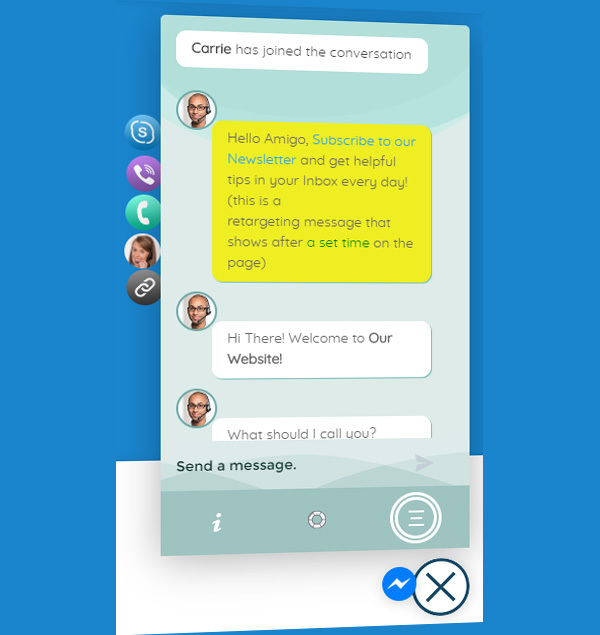 Choose from one of the 5 modern chat window templates. Upload your own background image to show behind the chat window. Add multiple variations of ChatBot responses for each node. They will be used randomly and give an appearance of more human like responses. MO/Pot file included but not really necessary unless you want to translate the backend as well. Otherwise, every Chat Bot response and system text displayed on the chat window can be edited from the WPBot back end easily and quickly. WPBot also supports RTL! **Please note that multiple languages at the same time are NOT supported. You can schedule the day and time during which the WPBot will operate. This opens up the possibility of running the Bot in conjunction with another Live chat support system. 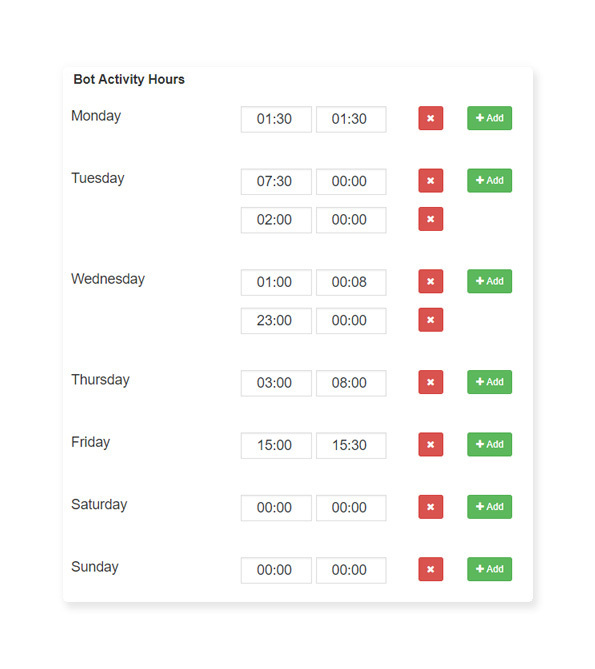 You can schedule WPBot to run only when you are not available for Live chat outside of your normal office hours. Ensure that your shoppers are never left hanging for an answer. Predefined intents can work out of the box and without integration with DialogFlow API and AI. These are readily available as soon as you install the plugin and can be turned on or off individually. This is the default user intent. WPBot will conduct an advanced website search and try to match user queries with your website contents and show results. WPBot provides support directly from the Chat window. You can add commonly asked questions (FAQ) and answers in the backend that WPBot will display when the user goes to support area. If the user does not find answers to his question in the FAQ, he can opt to send an email to site admin by chatting! The Call Me Back feature of this chat bot lets you get call requests from your customers. The call request will be emailed to the admin. This great feature allows you to collect prospective customer’s phone number and allows you to call them back at your conveniences. 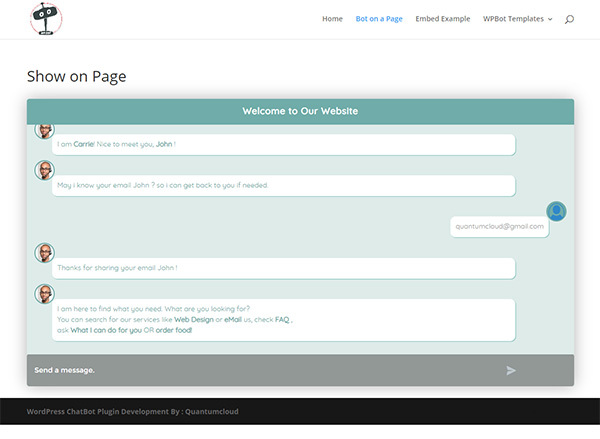 Users can quickly select a Send Feedback option and email about their shopping experience on your website. Collect Customer Feedback and improve your eCommerce website with WPBot. Schedule day and time when WPBot will run. Make WPBot work with other Live chat software. This WordPress ChatBot plugin is under active development. We want to work with you as we expand the plugin features so it becomes truly useful to you. If you have any feature request, let us know in the comments. We will try our very best to accommodate all reasonable feature requests.